Parallett Bars for practicing high bar turns while on the ground. 54" long bar sits securely 4-1/2" off floor. Reinforced PVC bar "flexes" like competitive equipment. 350 lb. weight capacity. No assembly required for floor use. 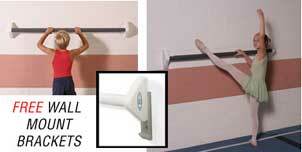 FREE wall mount brackets permit use as a pull-up or ballet bar. 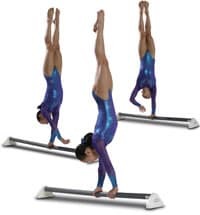 Purchase two and create a parallel bar station. 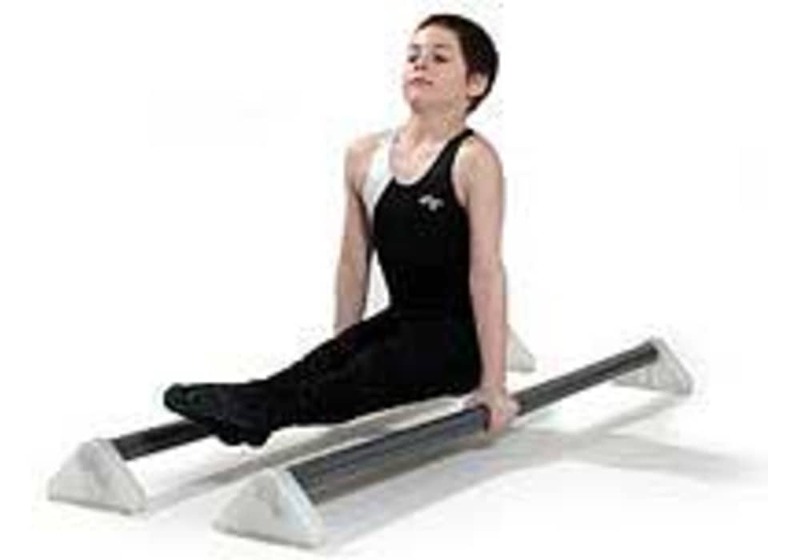 The Parallett Bar is ideal for both male and female athletes for use on the floor or wall. It is a 54" long bar that sits securely 4-1/2" off the floor and is a valuable training aid for gymnasts of all levels. Increase confidence, physical strength, and balance for single bar, high bar, or eneven bar workouts. Now you can practice pirouettes, press handstands and much more in the gym, studio, or in the privacy of your home. The flexible wood core reinforced bar provides the same feel and resilience of competitive equipment. 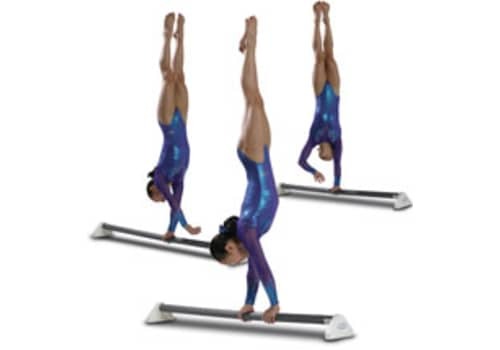 Purchase two and create a parallel bar station. Included free with each Parallett Bar are two wall mount brackets for added versatility. In seconds, the bar can be taken from the floor and positioned on the wall to provide additional benefits. The bar's weight capacity of 350 pounds allows athletes to use it for various elements of strength, flexibility and dance training. Reinforced PVC bar "flexes" like competitive equipment.